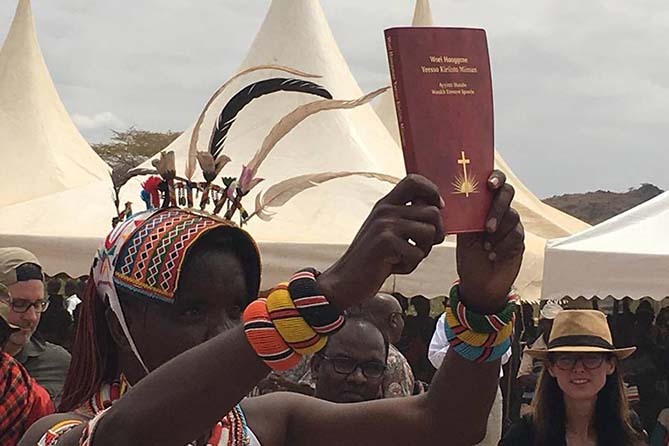 MAF participates in celebrating the translating of the Bible into a local Kenyan dialect, a project that began 40 years ago. In 1965, Earl Anderson was the first AIM missionary to move to Loglogo and begin working with the Rendille people, bringing not only the Gospel, but improvements to daily life such as boreholes, medical care, and schools. 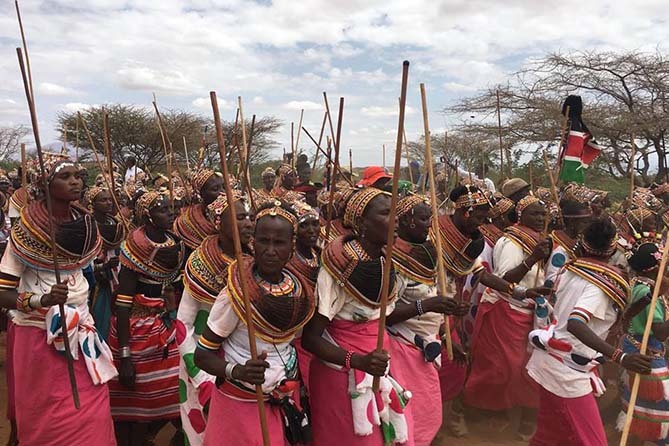 The Rendille, numbering about 65,000 people, are found in the northern part of Kenya, occupying nearly 14,500 sq. km of arid semi-desert in southern Marsabit District. The Rendille people are traditionally pastoralists keeping goats sheep, donkeys, and camels. This year marks the completion of a monumental undertaking that began nearly 40 years ago. In 1981, Nick & Lynne Swanepoel, missionaries with AIM, began the development of the Rendille language and oversaw the translation work of the New Testament by Bible Translation & Literacy. 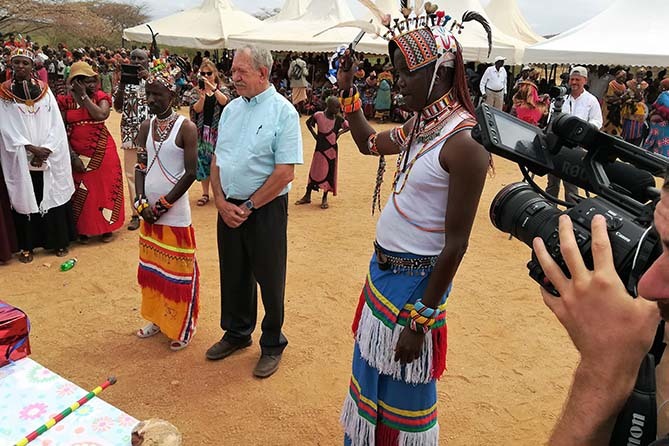 On August 18th, people gathered in Korr from around the world to celebrate the completion of this project. 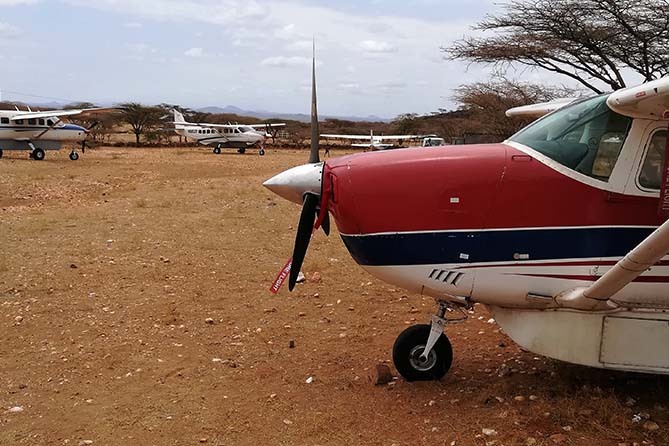 Three of MAF’s airplanes were involved in bringing people to and from Korr for the celebrations. And MAF had the honour of flying in the newly printed New Testaments to be distributed at the celebrations. “During the last few years of the work, I was living in the UK,” Nick Swanepoel explains. “Due to the communications available I was able to have fruitful sessions with the two Rendille translators, Joshua Galimogle and Laban Eysinkeele, as well as our SIL consultant, Tom Matthews. On the day of celebration, I had an overdose of emotions, considering the long time this project has taken and the power of God’s Word to communicate with any people. 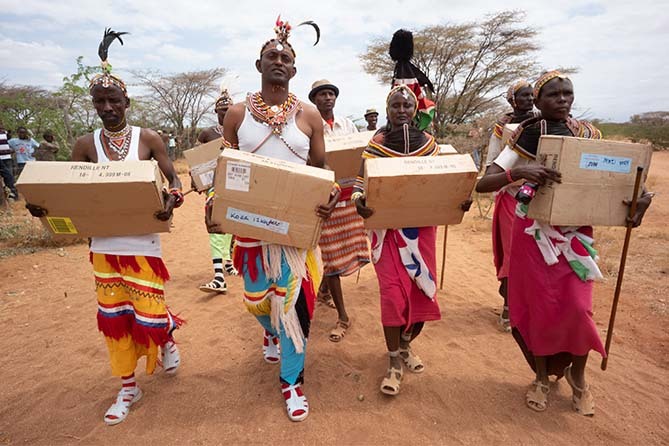 We returned to our home, but the Rendille New Testament remains to speak to the Rendille in their heart language. Very soon, work on the Old Testament will start!” Nick promises. 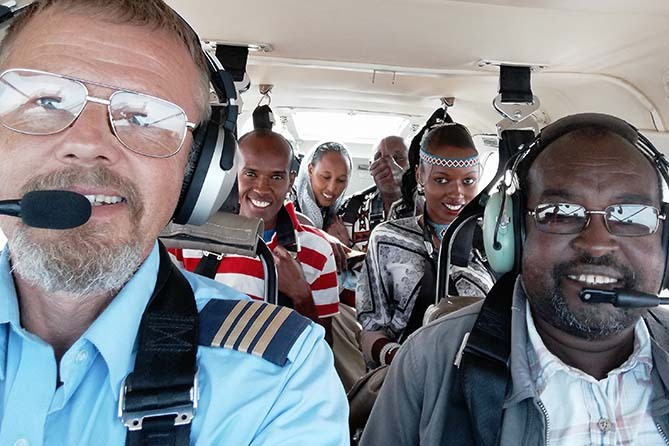 “As Rendille church we cannot appreciate MAF enough for the partnership with this journey that took years, but have been so fruitful, as they served us in Rendille land,” Pastor David Gargule remarks.